Prior to his tenure in Paramus, Rabbi Wolff was an assistant rabbi at Ohab Zedek (OZ) on the upper west side of Manhattan for 5 years. After a sabbatical, learning in Lakewood and living in Highland Park, Rabbi Wolff, Chaviva and their three daughters, Shira, Leora and Tali, came to Beth Tefillah in February of 2003. Throughout his time with us, Rabbi Wolff has fostered a warm and inclusive atmosphere through his kind, sensitive nature. During his tenure, Rabbi Wolff has introduced a broad range of programs, classes and events, including lectures by well-known scholars from diverse fields; concerts and choirs; films and holiday events. 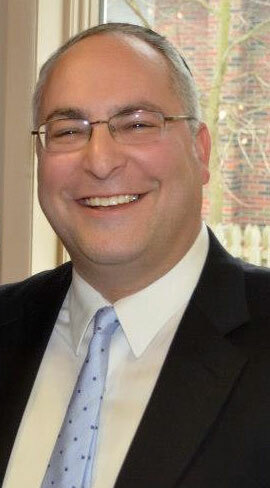 The rabbi has studied with Bar and Bat Mitzvahs, mentored rabbinic interns and recruited youth directors. Over the years, Rabbi Wolff and Chaviva and their daughters have generously opened their home to host many events, from annual Chanukah parties, to Sheva Brachot and Shabbat Onegs. They both devote their time and selves to attend to many details and needs within the community, and many individuals have benefitted through the years from their kindness, generosity and sensitivity. Our community is truly fortunate to have the Wolffs as our leaders. We’ve enjoyed watching the girls grow up and look forward to sharing many more years together, as Paramus grows.